That slipped me, but I stumbled with these lovely emoticons! They’re backwards compatible with any non-DC MUAs. 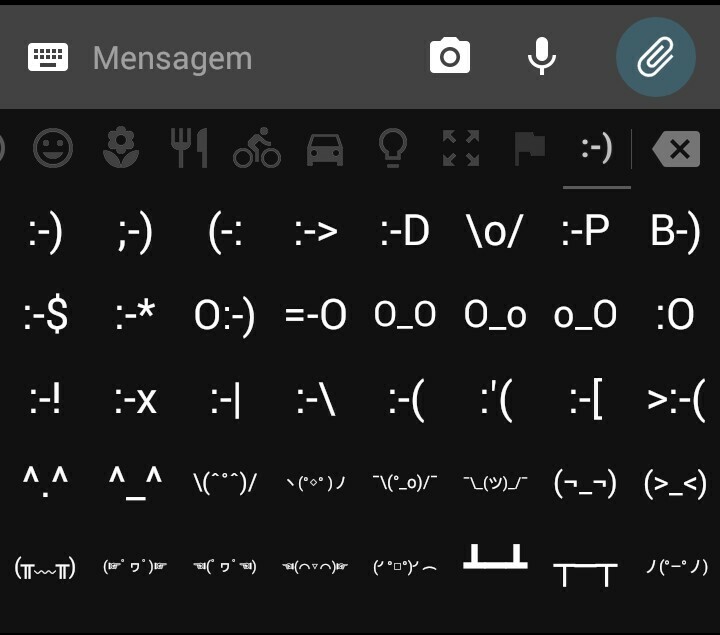 Why they’re not the first emoticons options for direct use? Would it be possible for us to add more of those, thus customizing ours own? well, i think people coming from other messengers and less-nerdy-people more expect the “drawn smiley”. however, i think, they are also compatible to other MUAs as they’re also just unicode characters. they’re shown in my thunderbird and even the console shows them. just had a look: if something important is missing, a pr to https://github.com/deltachat/deltachat-android/blob/91be337fb68cb75712c64a3d01b94409329af675/src/org/thoughtcrime/securesms/components/emoji/EmojiPages.java#L37 should do the job. per-user customisations is not possible currently. i think people coming from other messengers and less-nerdy-people more expect the “drawn smiley”. Well, yeah, indeed! And even if they aren’t first placed there’s the most recent smiles that put them prior to the others. DC is getting really nice!